Dr Mulavana (Usha) Parvathy has worked in HNELHD since 1985.Usha is a general practitioner and a conjoint senior lecturer with the discipline of General Practice.Usha is involved with undergraduate and post graduate education.Usha is an external clinical teacher with Synergy GP Training provider.She is the Director of the Hospital Skills Program the education program for unaccredited trainees.She has also been the Director of the International Medical Graduate program in HNELHD since 2006. 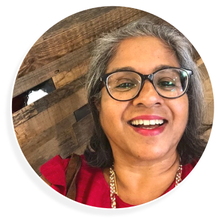 Usha is passionate about International Medical Graduate support and education.Usha is a founding member of the Workplace Based Assessment program for IMGs in HNELHD. Maggie is a senior executive director with experience in strategic and operational workforce and organisational development in the health and education sectors. Maggie’s passion is for excellence in contemporary education and access for rural communities to education opportunities. 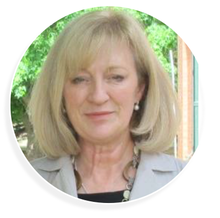 Maggie grew up in remote NSW and has worked in rural NSW health services and the NSW Ministry of Health in senior workforce and organisation development roles. She has also run her own Registered Training Organisation, managed teaching units for TAFE and private training consultancies, and was previously head of Organisation Development for the Australian National University. 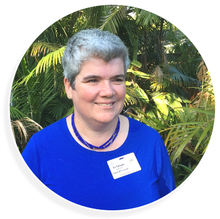 Maggie has been the Director of the Rural and Remote Portfolio at HETI since 2012. She holds post graduate qualifications in population health research and health policy. Beth is a member of the WBA Development Group for the AMC, and an AMC examiner. In conjunction with Mrs Debbie West, Beth has developed the Tasmanian WBA program, which has now been in operation since 2010. They currently have 30 candidates undertaking the program, and have graduated over 120 candidates. Originally trained in Adelaide and Melbourne, Martin came to Newcastle in 1982 to enlarge the paediatric workforce. 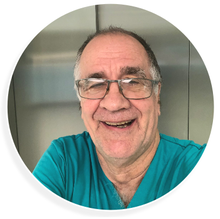 Martin is an intensive care physician, has worked in the Hunter Region for 30 years and has been a Senior Staff Specialist at the John Hunter Hospital since it opened in 1991. His interests are in the areas of Paediatrics, Telehealth (particularly tele-intensive care), networking to support smaller hospitals and mentoring. He has been on the mentor panel for IMG Program for 5 years. Finally, Martin supported the retrieval service in HNE since its inception. Dr Carolyn Hullick is the Director of Emergency Medicine at Belmont Hospital in Newcastle, NSW. Carolyn’s clinical and research interest is in improving care for older people in the Emergency Department. Belmont has one of the oldest patient populations in NSW. She is the clinical lead for HNE Aged Care Emergency Program, supporting over 100 aged care facilities to manage residents at home wherever possible. She is the Chair of the Geriatric Emergency Medicine section for ACEM. 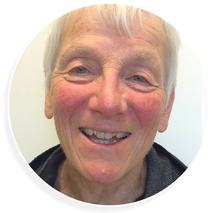 She is an invited author for the Acute Geriatrics series for Emergency Medicine Australasia. From 2003 to 2012 she was the Director of Emergency Medicine at John Hunter and Belmont Hospitals. During that time, John Hunter ED won the International Press Ganey Award for Patient Satisfaction for large EDs and the NSW Premier’s Award for streaming patient flow through the ED. For 2008/09 she was a Harkness Fellow in Health Policy and Practice with the Commonwealth Fund, based at Weill Cornell Medical School in New York City. She investigated improving care for older people in the Emergency Department. 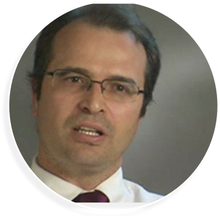 Dr. Diez Alvarez completed undergraduate and postgraduate training in South Africa in 2001 and has worked in both Armidale and Coffs Harbour as a general physician and medical administrator. In 2015 he moved to Newcastle and took up the position of Director of Medicine at The Maitland Hospital. Over the last few years has continued to develop his interest in clinical Leadership and Management. He continues to promote the delivery of excellent medical education and the delivery of high quality care empathic and compassionate care, especially for patients suffering chronic medical conditions. He is a Board member of the NSW Medical Board and is on the Medical Board of Australia International Medical Graduate subcommittee and a member for the Medical Sexual Boundaries National Committee of the National Board of Australia. 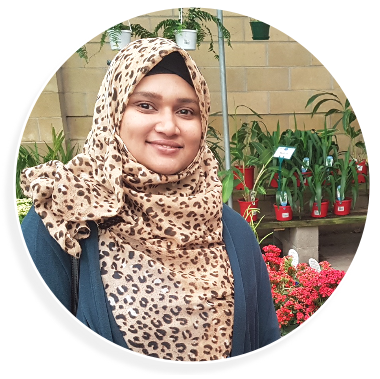 Tasnuba Mir has recently joined as an SRMO in the medical department of The Maitland Hospital. She was born in Bangladesh but moved to Abu Dhabi, UAE with her parents and stayed most of her life there. She went back to Bangladesh to study medicine and graduated in 2011. After completing her internship, she worked in palliative care department as a resident medical officer. 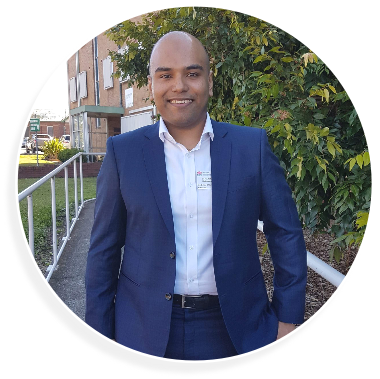 Nayeem Mohammed is currently working as an SRMO in the medical department of The Maitland Hospital. He is from Bangladesh but was born and brought up in Benghazi, Libya where he completed his primary and secondary education, then he moved to Bangladesh to study medicine. He graduated on 2011, worked near two years in clinical medicine before relocating to Sydney for his Masters. He graduated master’s degree in Health services management from University of Technology, Sydney. Nayeem aims to specialize in Medicine with current goals of improving competency at the level of a registrar and looking forward to engaging himself more in teaching and research works.